Aaron has been working at VAL since 2006 in a management capacity within the VALUES team. Aaron heads the VALUES project ensuring good quality provision that offers opportunities for people with learning disabilities to participate in every day life activities. Including support to volunteering, coaching to travel independently, employment opportunities and to take part in social and leisure activities. Aaron has developed VALUES to offer increasingly more choice through diversifying the range of services that we offer and has significantly increased revenue through providing services to customers who have a personal budget. Aaron is a strong believer that everyone deserves opportunity to succeed in life and that services should promote informed choice by empower customers through co-production. Prior to working at VAL Aaron worked for other learning disability charities such as Macintyre care (support worker) and Fair deal (advocacy and empowerment officer). 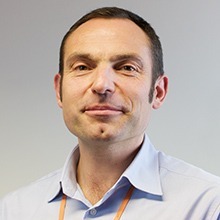 In total Aaron has over 15 years experience in the field of learning disabilities with a broad understanding of needs, systems and processes within Adult social care. Aaron has a degree in psychology and has spent over three years experiencing other cultures mainly in Asia and Latin America. This has given him grounding in human behaviour, an interest in cultural values and strengthened his belief in equal opportunity.